Having made the decision to start cycling to work, or just for fun, you will no doubt want to know a few ways that you can make cycling comfortable. Everyone was a beginner-cyclist once, and the good thing is that cycling is something that grows on you. So every day that you hop on your bike to work or for the trails, just know that there will always be room for improvement. 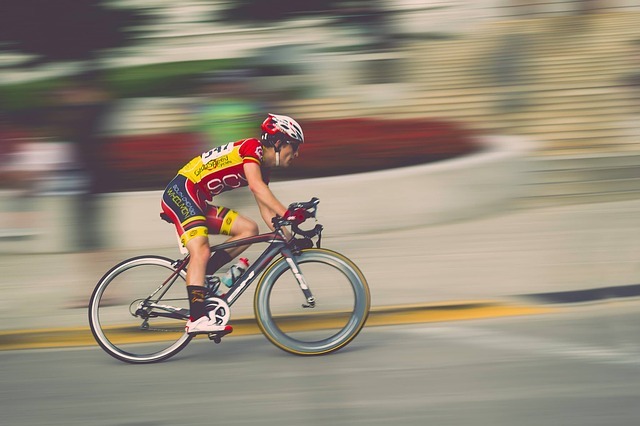 Here are a few tips that can get you started on cycling comfortably. When you go to online to buy the required cycling kit, it will look as if cycling is an expensive hobby to maintain. It is not. Comparing the running costs of a bicycle to those of a car, the bicycle wins hands down. Anyway, the cycling kits that you need are one-off buys mostly. If you take good care of them, they will stay intact a long time. Some of these include a bike helmet (required by the law), a lock for securing your bike in the parking, gloves for riding in summer when your hands are likely to sweat or winter to prevent your knuckles from freezing. You will also need shoes, padded shorts for cycling to protect your bum bum, a puncture repair kit, a pump and others. You will need to tweak your seat so that you feel as comfortable as possible while on your bike. In fact, some people never get this right, and therefore they do a tweak here and there every day. If you feel you have to make adjustments everyday to your seat, your handlebars and anything else, just do it. It will help you get your right fit. To get the right height, step on one pedal when it is at the lowest point. If the leg is straight, then the saddle is at the right height. Watch your elbows too; they should have a slight bend when your hands are comfortable on the handlebars. If you are a woman, you can choose the best comfort bike for women. This is as important as the saddle for your riding comfort. When your handlebars are too wide or too narrow, they will be very uncomfortable. The resulting strain will make you loathe cycling. This is why it is important to buy a gender-specific bicycle. Women’s bicycles have narrower handlebars because women have narrower shoulders and vice versa. When the handlebars are just right, your elbows will have a slight bend, your reach on the brakes or bell will not be a problem at all and you will not feel strained even after riding long distance. Because of the pedaling movement, your legs need to be as flexible as possible. Thus, you will also need shoes that can allow for this movement without hindering anything. If the shoes are too stiff, you could feel as if something is crushing your feet every time you try cycling up a hill. At the same time, you should also wear good socks that can wick away the moisture when you sweat. Remember that feet have a tendency of swelling slightly after a long ride, so make sure your shoes can accommodate that. Different sizes of tires are good for different types of terrains. For example, a big tire size is good for gravel roads. However, note that the big tires should not be inflated to capacity. You should lower their pressure by 10 percent or thereabouts. That way, you will not feel every jolt or rut on the road. For a 28 to 40c tire size, you should do 80 psi. For a smooth city ride, you can just do the regular 23c tire size and pressure of 100 psi. You can just have a custom bicycle for your needs. When you ride often, you will become more familiar with your bike, you will know what tweaks and fixes will make the bike as perfect as possible for your needs. You will find the right saddle and handlebar height, and you will be able to know when your bike needs fixing. If possible, you can join a cycling club where they organize cycling excursions. It is more fun to cycle in a group than alone. While at it, also use the right bike for the right purpose. Use a mountain bike for off-road cycling, a cruiser for cruising on the road and a hybrid for any purpose.